These projects would not be possible without community support. We deeply appreciate your donation by way of our fiscal sponsorship with the Multidisciplinary Association for Psychedelic Studies (MAPS). Your donation to MAPS for Cosmic Sister is tax-deductible in the U.S. as allowed by law. http://www.cosmicsister.com/support . Founded in 1986, the Multidisciplinary Association for Psychedelic Studies (MAPS) is a 501(c)(3) nonprofit research and educational organization that develops medical, legal, and cultural contexts for people to benefit from the careful uses of psychedelics and marijuana. For more information, please contact media@maps.org. Elisabeth Bast is a San Rafael, California-based writer, poet, yoga and meditation teacher, performance artist, healing artist, musician, and holistic life coach specializing in entheogenic medicine integration, addiction recovery, and women’s empowerment. Bast is the author of Heart Medicine: A True Love Story, about healing with iboga medicine. She has experienced the Missoko Bwiti initiation and Rite of Passage in Gabon, Africa, and is an iboga facilitator training with the Bwiti tradition. Elisabeth studies the medical safety aspects of iboga treatments with Jamie McAlpin, RN, of IbogaSafe and co-creates collaborative works of visual and performance art with her husband, artist Chor Boogie. She received a WPR grant to present “The Evolution of Our Intimacy: An Iboga Medicine Love Story” along with Chor at the Spirit Plant Medicine Conference, in Vancouver, BC, November 2 - 4. Dawn D. Davis, Ph.D. (cand), is a wife, microfarmer, Indigenous researcher, and Tribal person belonging to the Shoshone-Bannock Tribes. She holds a master's degree from the University of Arizona, where she researched how to preserve peyote, an Indigenous medicine, within its natural habitat. Dawn is a PhD student at the University of Idaho, studying her first medicine, water, with an emphasis in law, management, and policy. Dawn was awarded Cosmic Sister's WPR grant in support of her presentation, “Peyote Habitat Loss: An Examination of Threats Using GIS” at Sleeping Octopus Assembly on Psychedelics (SOAP), July 13 - 15 in Pittsburgh, Pennsylvania. Dawn recently traveled with Cosmic Sister to the Peruvian Amazon in March. Sheri Bessi Eckert is a Portland, Oregon-based psychotherapist and cultural activist who works with her husband, Tom, to legalize the regulated use of psilocybin, a naturally occurring psychoactive compound produced by more than 200 species of mushrooms that has proven to be safe and effective in research settings, in Oregon. Sheri and Tom founded the Oregon Psilocybin Society (OPS), an evolving coalition of individuals, networks, and organizations raising awareness about the safety, benefits, and risks of controlled “psilocybin services." OPS is developing the Psilocybin Service Initiative (PSI), a framework for regulating supervised use of psilocybin that could emerge as a ballot initiative in Oregon in 2020. Sheri and Tom’s private psychotherapy practice, Innerwork, serves the Portland metro area. Sheri has been awarded a WPR grant in support of her presentation with Tom, “Stepping into the Light: Psilocybin Science, Psychology, and Spirituality” at the Spirit Plant Medicine Conference, in Vancouver, BC., November 2 - 4. Tracey Eller, a lifestyle and documentary photographer, foodie and exotic travel lover, received a Plant Spirit Grant in 2014 and has since traveled with Cosmic Sister to the Peruvian Amazon multiple times to photograph grant recipients, indigenous Shipibo healers, and other key players at Nihue Rao, DreamGlade, Ayahuasca Foundation, and Temple of The Way of Light. Her photographs have accompanied articles about Cosmic Sister in Bust Magazine, Vice, Broadly, LA Weekly, LA Yoga Utne Reader and many more. Her on-location photos also appear in slideshows by experts in the field of psychedelics, cannabis, and plant medicine. Tracey, a visual storyteller, received CSC and WPR grants to photograph the Healing Power of Cannabis and Spirit Plant Medicine conferences. Claudia J. Ford, Ph.D., is a Providence, Rhode Island-based ethnobotanist, is a midwife, artist, writer, and poet who has enjoyed sharing her worldwide work and travel with her four children. Claudia holds a bachelor’s in Biology from Columbia University and a master’s and PhD in Environmental Studies from Antioch University. She moved to Rhode Island in 2008 after a career in international development and public health spanning all continents and worked at Rhode Island School of Design with international students before joining the faculty. She is on the board of The Orion Society, which publishes Orion literary magazine. Claudia has been awarded a WPR grant to present “Requiem for the Living: The Sacred Gifts of Indigenous Ethnobotany” at the Spirit Plant Medicine Conference, in Vancouver, BC., November 2 - 4. Vilmarie Fraguada Narloch, Psy.D., is a Chicago-based psychologist focusing on integrated treatment of co-occurring mental health and substance-use disorders and the drug education manager for Students for Sensible Drug Policy (SSDP) International. Vilmarie is advancing the use of harm-reduction principles in clinical practice, coordinating an international organization of progressive drug policy advocates, and facilitating the introduction of psychedelic medicine in Chicago. She has dedicated her studies and clinical work to advance harm reduction as the standard for substance-use disorders. Vilmarie was awarded a WPR grant to present “Psychedelic Harm Reduction: Building Community through Advocacy and Education” at Sleeping Octopus Assembly on Psychedelics (SOAP), July 13- 15, in Pittsburgh, Pennsylvania. Ifetayo Harvey, a New York City-based writer and cultural activist and a communications associate at the Drug Policy Alliance, founded the People of Color Psychedelic Coalition (PCPC), which is creating a series of gatherings in multiple cities to highlight the voices of Black, indigenous, and other people of color and build the political willpower to force policy changes like legalization and decriminalization. She has a B.A in History and African Studies from Smith College, where she was Outstanding Student Leader of the Year in 2014. Her work has been featured in the Huffington Post, Alternet, Black Girl Dangerous, and The Atlantic. Ifetayo was awarded a WPR grant to present the keynote speech at POCPC’s launch event in New York City. Selma C. Holden, MD, a Freeport, Maine-based integrative family physician, is an assistant professor at the University of New England’s School of Osteopathic Medicine and the medical director for a residential recovery program that uses plants such as cannabis for medication-assisted opiate-dependence therapy. 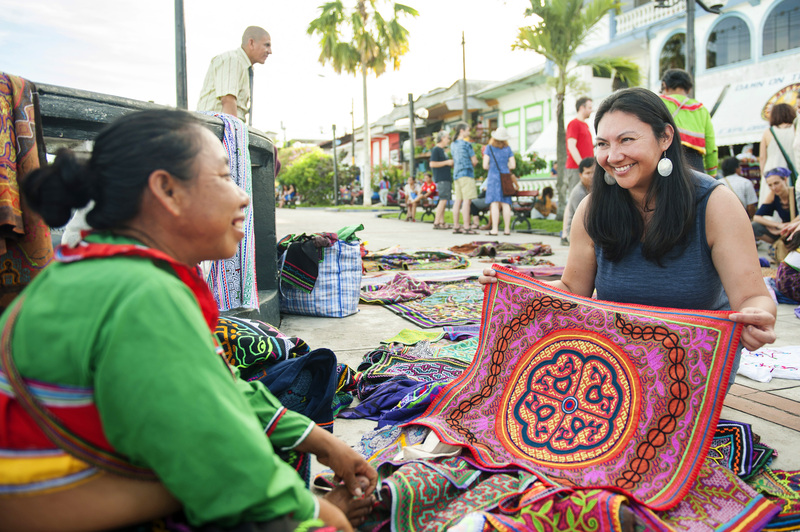 In 2016, Holden has traveled with Cosmic Sister to the Peruvian Amazon on two occasions. Selma has been awarded a CSC grant to present “Cannabis Enhanced Yoga for Mindful Embodiment” at The Healing Powers of Cannabis in Montpelier, Vermont, September 15 & 16. Eleanor Kuntz, Ph.D., is a Santa Rosa, California-based cannabis geneticist bridging the gap between traditional herbalism and modern science. Eleanor earned a PhD in Genetics from the University of Georgia, where she focused on gene flow and evolutionary history between wild and cultivated plants, and she has spent her career designing and implementing best practices for natural product companies using plant genetics. Eleanor is a graduate of the Sage Mountain School of Herbal Studies, where she studied with Rosemary Gladstar, and recently co-founded LeafWorks, a botanical verification company using genetics to improve medicinal quality, sustainability, and transparency. Eleanor has been awarded a CSC grant to present “Current State of Cannabis Genetics and Canndor Herbarium: Why & How of Herbarium Establishment” at The Healing Powers of Cannabis in Montpelier, Vermont, September 15 & 16. “If we cared as much about other medicinal plants as we do about cannabis we would all—not just humans but also our plant allies—be in a better place.” – Eleanor Kuntz, Ph.D.
Caitlin Moakley, lead buyer and manager of the Body Care department at a legendary natural products store in Cambridge, Massachusetts, believes her life’s mission is to eliminate toxic chemicals from personal care products. Caitlin is a recipient of a Plant Spirit Grant and traveled to Temple of The Way of Light in the Peruvian Amazon in March 2018. During post-ayahuasca integration, Caitlin launched her own business, Soil + Spirit (@soilandspirit), providing social media services for clean beauty products and psychedelic, cannabis, and plant medicine advocacy professionals, including Cosmic Sister. She has been awarded CSC and WPR grants to attend the Healing Power of Cannabis and Spirit Plant Medicine conferences, where she will support speakers who received grants during the conference, through social media and more. Dawn Musil is a world traveler, ecological scientist, and longtime beekeeper who will enter graduate school in Ethnobotany at the University of Kent in fall 2018. She has been awarded a WPR grant to attend the Spirit Plant Medicine and to support the speakers who received grants during the conference and on social media. Dawn, who received a Plant Spirit Grant and traveled to Temple of The Way of Light in the Peruvian Amazon in March 2018, is writing about her remarkable visionary healing experience. “The medicine taught me who I can be,” says Dawn, a talented public speaker. “And to know that my voice has as much value as the voices of men in the plant medicine space.” Dawn’s WPR grant will allow her to meet her heroes Wade Davis, Dennis McKenna, and Paul Stamets at the Spirit Plant Medicine conference. Chioma Nwosu, a Los Angeles-based yoga instructor, meditation instructor, and massage therapist, teaches for private and corporate clients and health organizations, at elementary schools, and during live events. A former dancer, Chioma teaches yoga and meditation at Green Tree Yoga & Meditation Foundation in South L.A. and is an online contributor for the Yoga & Body Image Coalition. Chioma works with cannabis as a plant spirit aide during guided meditation and offers cannabis-friendly yoga for stress-based trauma, massage/stretch therapy, and chakra balancing sessions. 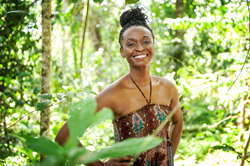 She recently returned from the Peruvian Amazon with Cosmic Sister and was awarded a CSC grant in support of her new class, Elevated CannaFlow: Cannabis-Enhanced Vinyasa Flow & Meditation, a powerful vinyasa flow, grounded in breath, that allows students to explore spaciousness while moving to AfroBeat rhythms. Samantha Retrosi, Ph.D.(cand), is a Fairfax, Virginia-based sociologist, yogini, and former Olympic athlete, investigating the sociology of culture, structural inequality, gender politics, and political economy at George Mason University. She is writing a dissertation based on qualitative social research conducted at the plant medicine retreat center Temple of the Way of Light in Peru, where she is a yoga teacher. Retrosi competed in the luge in the 2006 Olympics in Torino, Italy, and her work about the politics of global sport has been featured in major media. Retrosi has been awarded a WPR grant for her presentation, “Waking Up the Sacred Warrior: Viral Culture, Social Illness, and Disrupting the Structure that Lives Inside” at the Spirit Plant Medicine Conference, in Vancouver, BC., November 2 - 4. Monnica Williams, Ph.D., ABPP., a Storrs, Connecticut-based clinical psychologist, is an associate professor in the Department of Psychological Sciences at the University of Connecticut. She specializes in cognitive-behavioral therapies and provides training and supervision for therapists to treat obsessive-compulsive disorder (OCD), posttraumatic stress disorder (PTSD), social anxiety disorder, and culturally informed care. She has conducted clinical research on MDMA-assisted psychotherapy for PTSD as well as the role of culture and race on mental illness. Monnica has been featured as a leading expert on race-based stress and trauma in major media outlets worldwide. Monnica was awarded a WPR grant in support of her presentation, “Racial Trauma, the War on Drugs, and Psychedelic Medicine,” at Sleeping Octopus Assembly on Psychedelics (SOAP), July 13 - 15, in Pittsburgh, Pennsylvania. “We need a large-scale shift in our social consciousness to really see and understand what is occurring, and the toll this takes on victims. Even small acts of racism and sexism must be considered unacceptable. We need those who witness injustice to speak out and victims to be supported and believed.” – Monnica T. Williams, Ph.D.
Selena Wong, a Vernon, Canada-based cannabis educator, co-founded The Flower of Life Compassion Club Society (an online dispensary), Flower of Life Production (a conscious cannabis production company), and Flower of Life Integrative Health (wellness clinic/apothecary/educational resource center) in Canada. She has been awarded a CSC grant to present “Sacred Cannabis and the Reclamation of Authentic Sexuality” at the Spirit Plant Medicine Conference, in Vancouver, BC., November 2 - 4. This intimate conference exploring the role of psychedelics in science, medicine, policy, and culture, this conference features presentations from key figures in the psychedelic research and policy community, a psychedelic-themed comedy show, live musical performances, and a benefit dinner for the Multidisciplinary Association for Psychedelic Studies (MAPS). Located at the “Sleeping Octopus” historic mansion, in Pittsburgh, Pennsylvania, this new psychedelic conference is sponsored by the Multidisciplinary Association for Psychedelic Studies (MAPS), Cosmic Sister’s fiscal sponsor. “As this psychedelic renaissance continues to blossom, we need women’s perspective and balance.” -- MAPS development officer Jade Netanya Ullmann. Rosemary Gladstar, founder of Sage Mountain Retreat Center in East Barre, Vermont, and Jane Bothwell, founder of Dandelion Herbal Center in Arcata, California, developed this timely conference to help health care professionals, herbalists, growers, and the public make responsible, effective decisions about medicinal cannabis. The conference will focus on medicinal applications, organic cultivation, and preparation of high-quality cannabis medicine. “There was such a need in New England for this kind of event, as there just wasn’t much happening here in the way of high-quality information and research on medicinal cannabis use. 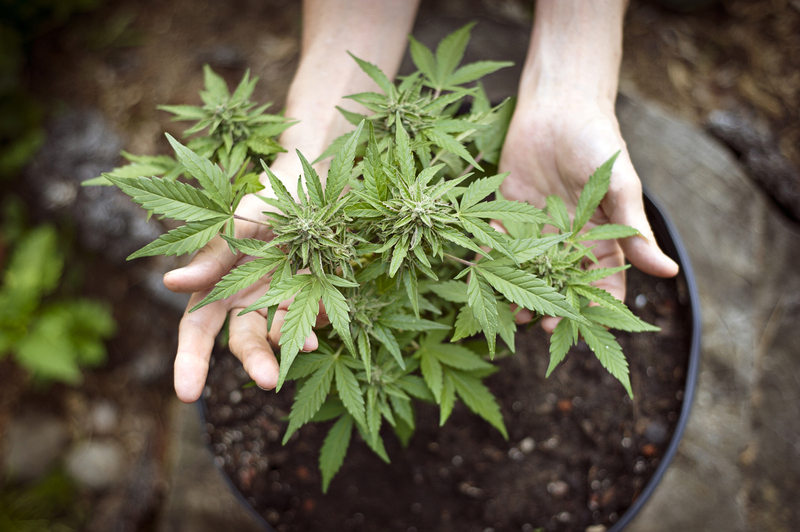 Of course, now that cannabis is being legalized, its bursting out of the closet in a huge way!” -- Rosemary Gladstar, founder of Sage Mountain Retreat Center. The intention of the seventh annual Spirit Plant Medicine Conference is to offer accurate, respectful, and most of all beneficial information and inspiration on the use of and larger context around sacred healing plant with an impressive line-up of women speakers and #MaleAllies for #PsychedelicFeminism, including Chris Kilham, Paul Stamets, Wade Davis, Dennis McKenna, and Thomas Hatsis. If you buy tickets THROUGH THIS LINK, $15 will go toward supporting women’s voices in psychedelics and cannabis. New York City writer and cultural activist Ifetayo Harvey will present the keynote speech in New York City at the launch of the People of Color Psychedelic Coalition (working title) a group she founded for people of color who wish to change the discourse of psychedelics, plant medicine, and harm reduction, at Judson Memorial Church in NYC, during an all-day symposium on September 8, 2018. Follow Cosmic Sister on social media for updates. Los Angeles-based Chioma Nwosu’s new cannabis yoga series, Elevated CannaFlow: Cannabis-Enhanced Vinyasa Flow & Meditation, debuts this summer and will be held at various locations. The powerful Vinyasa flow lets students explore the feeling of spaciousness while moving to AfroBeat rhythms with breath as the grounding factor. Follow @chiomanwosu and @theurbansamadhi and @ecannaflow for updates.